The first App to REALLY share with friends and family where you parked the car! Park, get Directions to the Car, set a Park Meter, Share the parking position with anyone you like! We’ve been developing this idea in house for a long time, and now we’re proud to announce that our latest App is finally ready and shipped! With Park And Share you can instantly share your last park location with family and friends, and they’ll receive it on their phones just like as they’ve parked themselves! Plus, when anybody takes the car and remove the parking all the others will be instantly informed too, letting them know that the car is not there anymore. Of course Park And Share has all the other commodities you can find in other parking Apps, like the ability to set a Park Meter time and be reminded before it runs out, or guiding you back to where you parked from your current location. All of this in new, easy, and fun way. Use the GPS to get the most accurate position or manually search for the address. Login with Facebook, add friends and family members to your favorites list and with a simple touch send your last parking position up to 6 of them. Each one of them will instantly recive the position on their App, and all of you will get notified when someone takes the car. Receive walking directions to quickly get back to your car. Park And Share it’s available today for iOS and we’ll be available soon on Android too! Go get it now on AppStore. We published Tourist Angel! The idea Massimiliano and Andrea brought us is now reality! The fist iPhone App for social tourism. For now it will be available just in Italy, but we planning on a launch on the foreign markets in the very next future. But what actually is “social tourism”? 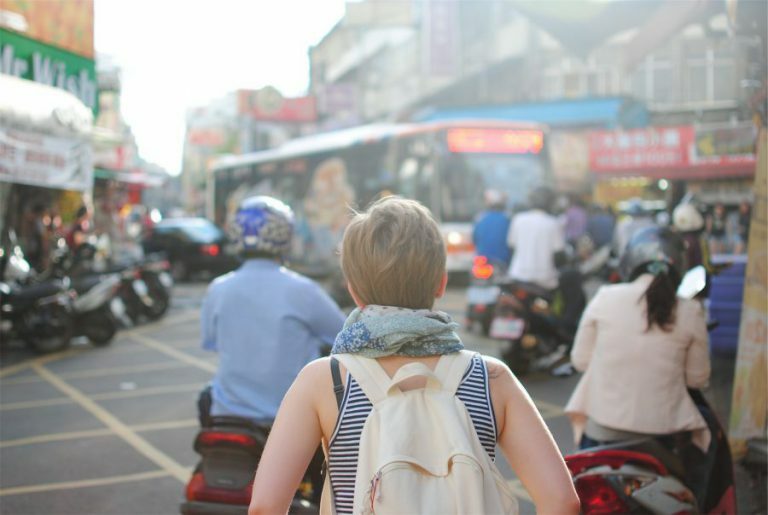 It’s a new opportunity of getting even more deeply acquainted the very goals of our travels, helped by the locals of the cities we are visiting. They can help you find events, go shopping, know cultural places and much more! Every single experience the Angels of Tourism offer might require a cost though, for eventually covering transportation tickets, gasoline, entrance tickets for museums or shows or who knows what… anyways, the amount payed for the tour will be limited to the actual amount of the expenses effectively faced by the Angel during the experience. The main goals are the sharing of the costs of a tour, without creating any profit, and making visitors know your city, promoting economy through social and cultural inter-exchange. So, the App does not want to take the place of the official tour guides, insted, if it will be as successfull as hoped, Tourist Angel will provide the functionality to have Official Tourist Guide (with official licence) subscribed, and will offer real “official” tours and itineraries. The idea was presented us last year by Massimiliano and Andrea, we did like it immediately, since it completely matches our personal idea of revolutioning the way of Tourism, which we were already working on with Europeana Beacon. We are waiting the start of the crowdfunding project we enrolled in Goteo. We did develop this App which will actually be the first of a Tourism/Culture/Show-centered series. Here we go! This is the new prototype for the Future Everything Festival in Manchester, thanks to Europeana and Apps4Europe for this opportunity. 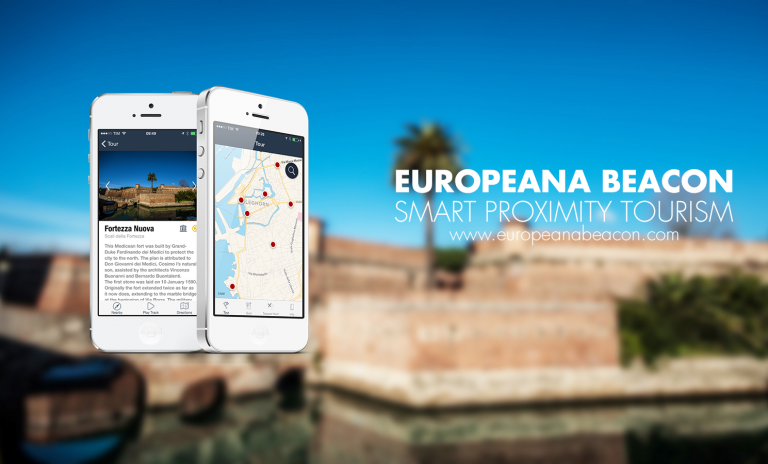 “Europeana Beacon combine the power of the Europeana Open Data with the latest cutting edge technology of iBeacons. “bSmart” is a project which brings enhancement to territorial value through the use of iBeacon ® technology. We are firmly convinced that the correct use of this very latest technology, tourists and, why not, local citizens, can be lead to a new front of envolvment and interest towards historical and natural beauties which each territory can really offer. We do propose a new way of interacting with the surrounding environment, bringing the living of an experience up to its maximum. At the same time, people will be pleased with the easy discovering of the treasure scattered around them, and will be encouraged to visit them directly. The Tourist can be alerted when walking by a landmark. Automatically can receive detailed informations. All media files, images, videos can immediately be available, and Audio guides can be purchased right on his device. Nearby points of interest or commodities (restaurants or transportation, for example) can be pointed out on the landmark’s sheet. Thanks to Beacon technology it will be possible to be real-time aware of the visits you have made and the monuments you have actually visited. The Tourist might even be invited to play a Treasure Hunt, and win if all the Landmarks suggested by the App will be actually visited! Playing can be a real indicator of the offered experience’s quality. Thanks to gaming, quizes, scanvenger hunts and many more, can be a great way of attract even kid’s attention to Art and Culture, all in a really enjoyable manner. Administrators can always have their eyes on data, in real time. This can help City Administration personnel in giving value to the City Cultural assets. Car, bike, bicycle or walk? The tours will contain informations on the best way to follow them, indications on the suggested waypoints, night and food accommodations which agreed on the tour itself. Companies and product catalogues will always be in the hand of the User / Visitor. Even at Home. When visiting the Company, extra content will be delivered, thanks to the Beacons! The Visitor will have the Product detailed Sheet just by walking close to it. He/she will be able to mark it and put it in the preferred list. Each product can be commented and evaluated! People priceless feedback will be right in the hands of the Company, which will be able to decide if publish them or not. During a visit to a Company, it will be possible for a Visitor to put products in the purchase list (like a cart). This will be perfectly doable even when the Visitory goes back home, right from the App. The Visitor will be provided with content relative to the piece of art he is observing, right on his/her device (smartphone or tablet). All the content will be available and usable immediately, with no need of getting close to the wall after waiting in line in order to read the plate. The device will be able to deliver text, videos, images and audio. The discovered contents will stay available and usable in the App, even when the Visitor left the Museum. The Museum administrators will be able to create new audio-guided tours in any moment, from the backend administration panel. During the tour, the Beacons will trigger the App to start audioguides automatically right in the users’ headphones. The Visitor will have the overview of their visit available at any moment, knowing if the whole area has been visited or not. And he/she will be able to know what to be visited yet. Personalized games, including the exposed works as subjects, will help making the best out of the visit. An innovative way of approaching and having fun with art and culture, even for kids! The App keeps track of the pieces effectively visited, the permanence time in front of each one, the order in wich the visitor see the works and so on. This way, the administrator or the curator have a complete innovative instrument in their hands to evaluate and make their expositions always and always better. All based on visitor’s behaviour. It’s online the new WebSite and the new App of the confederation CGIL made by Oimmei!